The Pollok FC Annual General Meeting will take place on Monday 29th April in the function suite at Loks Bar & Kitchen, starting at 7pm. Papers can be picked up at the members gate this midweek before the Renfrew game. Any remaining papers will be sent by post. Please arrive promptly for the AGM to begin at 7pm. Murdie’s plans for season 2019-20 took another step forward this evening as brothers Gary and Stuart McCann signed contract extensions to carry them through until summer 2020. 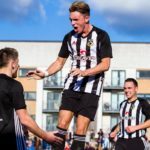 Scotland international Gary, signed for Pollok in 2016 and has so far made 94 appearances (90 starts, 4 sub) in the black and white of Pollok, scoring 22 goals and creating many more. Stuart joined the club a year later and quickly cemented his place in the team. He has so far contributed 26 goals in 69 appearances (57 starts, 12 sub). 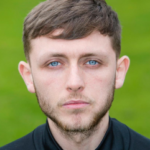 Alongside Jordan Longmuir and Danny Boyle, he has played most minutes for Pollok this season. The postponed Pollok vs. Clydebank league match has now been rescheduled for Saturday 27th April, kick off 2pm. 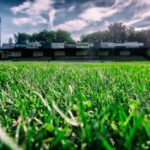 Today’s match against Clydebank has been postponed. The rearranged date will be announced in due course. Our next match is scheduled for next Saturday when we host Kilwinning Rangers. The second batch of commemorative Pollok bricks have been added to the pavilion wall at Newlandsfield and they look great. You can see them ‘in the flesh’ this Saturday as we host our Glasgow neighbours, Clydebank. If you missed out last time, orders are being taken for the third batch of bricks. These would make a great gift for the special Pollok fan in your life or even for yourself to remember ‘the happiest days of our lives’, watching the ‘lok. Orders will be taken for the next four weeks and forms can be obtained from the pavilion on matchday. John Hickey will be taking orders on matchday. Bricks are priced at £35. Pollok unveiled new goalkeeping signing Stephen Barr in the away match at Largs Thistle, with him making his debut in the Lok goal. He arrives from BSC Glasgow on loan until the end of the season and also counts Clyde and Queen’s Park among his clubs. As a schoolboy, he was in the Hamilton Academical youth set-up. He has made 6 appearances for BSC’s first team this season. Related to this, Jordan Longmuir has requested to take some time away from Pollok FC and this has been granted. All at the club wish Jordan well and look forward to seeing him return in due course. Pollok can confirm the signing of midfielder/forward Jordan Morton on a deal through to the summer of 2020. Morton was one of a significant number of players that left Cambuslang Rangers in January after the departure of manager Paul McColl and almost immediately came aboard at Lok as a trialist, but with him unable to take part in cup ties due to being ‘cup-tied’, there was no immediate need to push a deal through. The formalities are now concluded so welcome aboard Jordan! He came through the youth system at Clyde but at 16 signed up with Hearts where he remained for four seasons. His only top team action for the Jambos was against Auchinleck Talbot in the Scottish Cup in 2011-12. He had a loan spell at Cowdenbeath then signed for Championship-level Livingston for 2012-13. 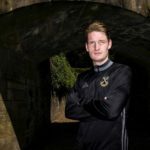 At the end of his sole seaon at Livi, he made the permanent switch to Cowden and after one season there, headed off to Europe to sign up with Lokomotiv Plovdiv in Bulgaria.He returned to Scotland in February 2015 to join Airdrie, spent time loaned to Annan in his second season a Diamond, and in2016 began his junior career which to date has taken in Shettleston, Cumnock, Lang and now Lok. David Gormley has been released by the club in order to sign for amateur side Nico’s of the Strathclyde Saturday Morning League. He has battled injury all season and despite that, fired in five goals for the club since August. 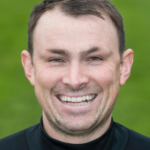 All at Newlandsfield wish him all the best for the future.